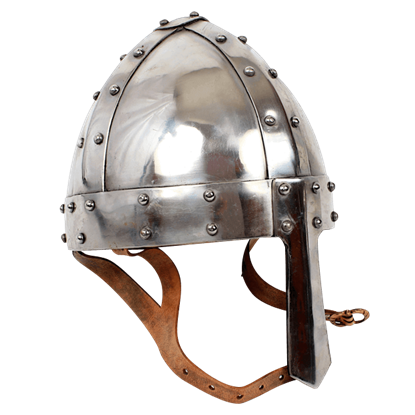 Viking helmets were often made of iron during the Viking Age. 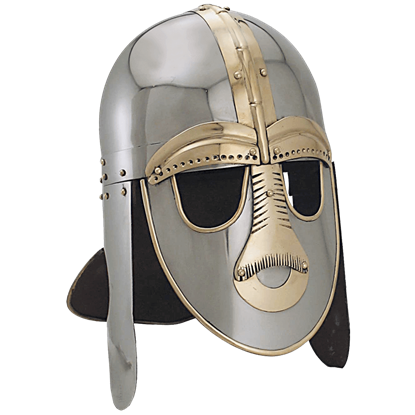 The Norse helm was formed in the shape of a rounded or peaked cap with a simple noseguard, earning for some the name of nasal helm. 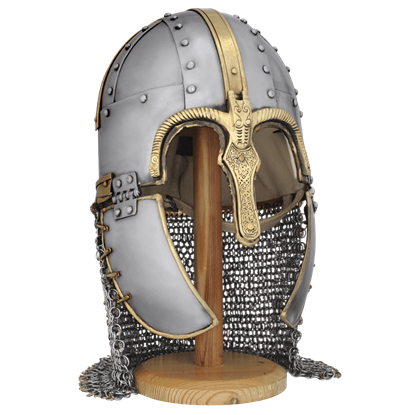 Some Viking helms featured a chainmail aventail for additional protection. 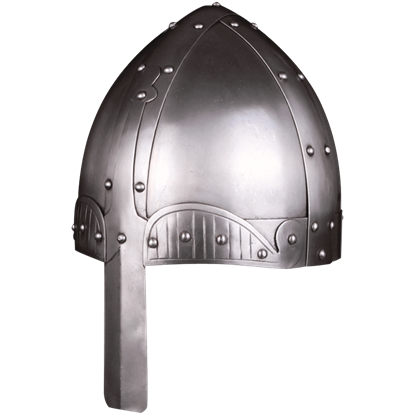 Other styles of Norse helmets were known as Gjermundbu helms, Spangenhelms, Viking horned helmets, and Coppergate helmets. 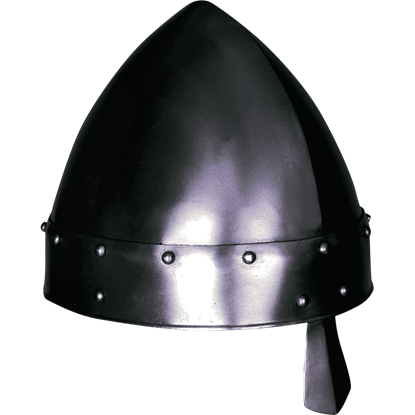 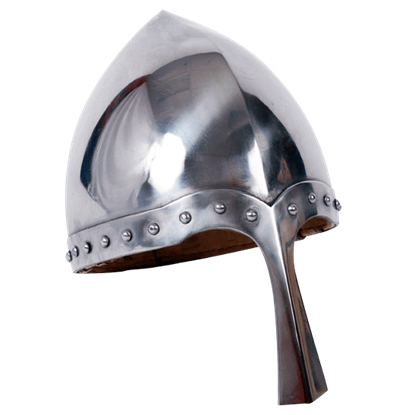 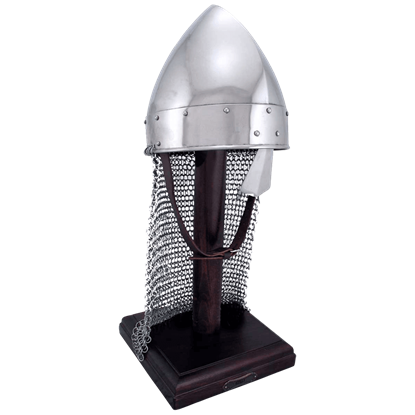 We carry many authentic and fully functional Viking helmets, as well as Anglo-Saxon helmets and Norman helmets. 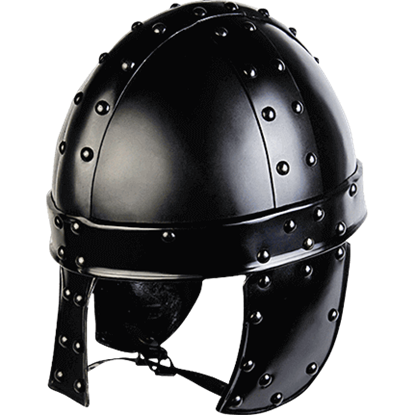 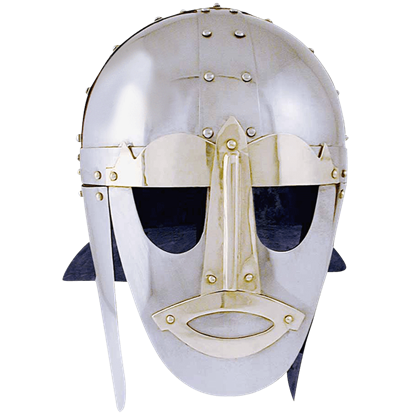 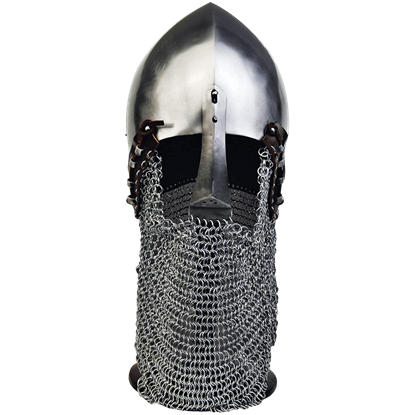 Browse to find varieties like spectacle helmets, leather helmets, and Sutton Hoo helmets, as well. 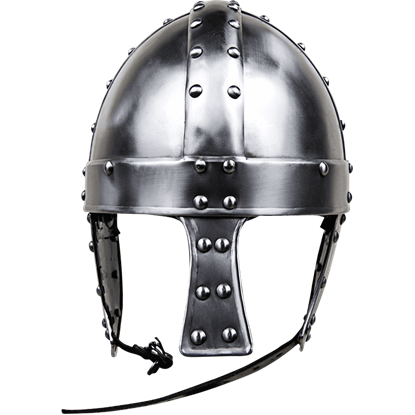 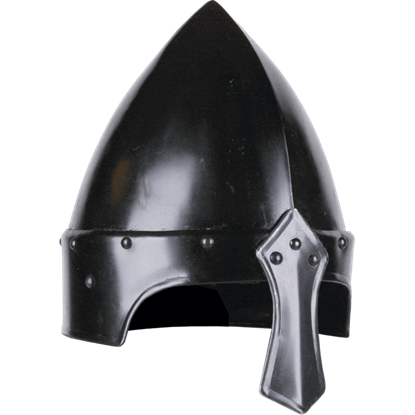 Our Viking warrior helmets will complete your armour set for Viking reenactments, LARP events, costume parties, or theatrical productions.